You know how sometimes you have a layover or a delay and you’re bored out of your brains at an airport? I often wonder why nobody has though to open an arcade and minted it from bored travellers. Finally, someone has – Swedish design agency Akestamholst. 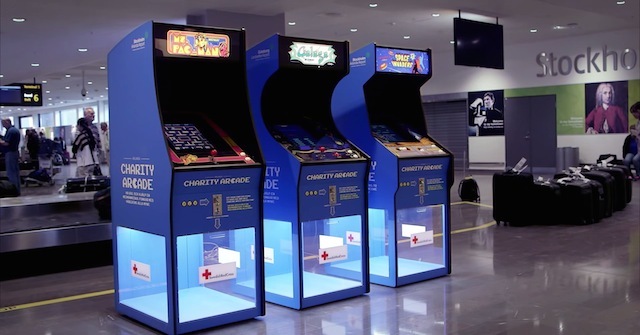 The company converted Ms Pac-Man, Galaga and Space Invaders cabinets to take coins of all kinds, and bolted them to those clear charity collection bins you find in airports. Super rad. The arcades are installed in Stockholm and Gothenburg. Let’s hope they spread to more locations.